Health research shows that people are more successful at achieving significant long-term weight loss when they have professional support. Whether you want to lose 10 pounds, 100 pounds, or more, Dr. Nadja Colon and the team of weight loss experts at Skinsation Medical Spa in Goodlettsville, Tennessee, have a solution designed to help you reach your goals. * They provide the expertise, guidance, and medical support to help patients from across the Nashville metropolitan region shed extra pounds for good. To find out more, call or book your appointment online today. Many people make the decision to lose weight for simple reasons — one person may simply want to fit into their old jeans, while another person may want natural relief from chronic knee pain. Whatever your reason for deciding to lose weight, there’s no doubt that your long-term health is the best reason to make the effort. Losing just 5-10% of your weight can substantially lower your risk of developing these serious long-term health conditions. During your initial health assessment, you’ll complete a physical exam and go over your personal and family medical history, current lifestyle, and any health concerns. In addition to receiving a personalized, goal-oriented fitness plan designed to maximize your results, you’ll also learn more about your baseline nutritional needs and receive a personalized diet plan. What type of medical support is available? 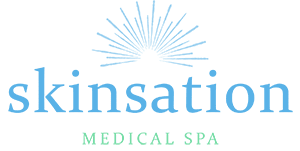 At its core, the weight loss program at Skinsation Medical Spa is centered around proven strategies that combine identifying and breaking the habits that prevent weight loss, achieving proper nutrition, and increasing physical activity. Depending on your individual needs, however, your program may include prescription appetite control medication or medically-monitored injections that boost your energy while promoting weight loss. Phentermine is a short-term treatment intended to assist with the initial phases of weight loss. When combined with diet and exercise, this appetite suppressant helps people with risk factors such as high blood pressure or diabetes to jumpstart their weight loss effort. Contrave is an FDA-approved weight-loss medication that affects both the hunger center and the reward system of your brain to reduce hunger and help control cravings. Studies show that the medication helps patients lose two to four times more weight than the combination of just diet and exercise. Human Chorionic Gonadotropin, or HCG, is a natural hormone involved in controlling metabolism. When used along with diet and exercise, specially formulated HCG prescription injections help supercharge your body’s ability to burn excess fat without losing muscle mass. When your liver isn’t functioning optimally, weight loss can be a slow process. Lipotropic and vitamin B-12 injections help your liver process fats at peak efficiency, helping you lose weight faster and making weight loss easier to maintain.